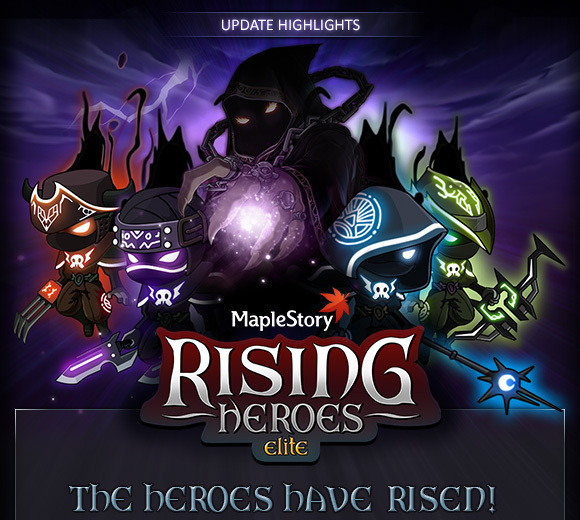 Nexon has just unveiled some highlights for the latest summer patch for MapleGlobal. Check it out! Welcome to Rising Heroes: Elite, one of our biggest updates ever! Rising Heroes: Elite is all about unlocking your inner hero. Hunt Elite monsters and bosses, harvest runes, and collect brand new Spell Traces to enhance your equipment in this new update. When you’re done, check out skill revamps for several classes, updated systems, and the new Buddy List. Not enough? Participate in our exciting events and have a blast! The summer is only just beginning. Be sure to watch your back – Elite monsters and bosses are on the prowl! After defeating a certain number of normal monsters, an Elite monster will appear. Elite monsters are twice as big, with greater HP and Strength compared to normal monsters. Send some of those Elite monsters packing and their boss will appear. Not only is an Elite boss strong, it also has high HP and comes with two Elite monster bodyguards. Triumph over all these baddies and you’ll unlock an amazing bonus stage! Gather some fellow heroes and combine your powers to defeat the Elite boss. Emerge victorious and you’ll earn cool rewards like Clean Slate Scrolls, Master Craftsman’s and Meister’s Cubes, and Potential Slot Carvers. Regular monsters’ HP and EXP have also increased, making them even deadlier. Runes are boulders that give buffs. Basically, they’re super-special rocks! They appear randomly and periodically in field maps, and you can activate their 2-minute effect by entering a special command. 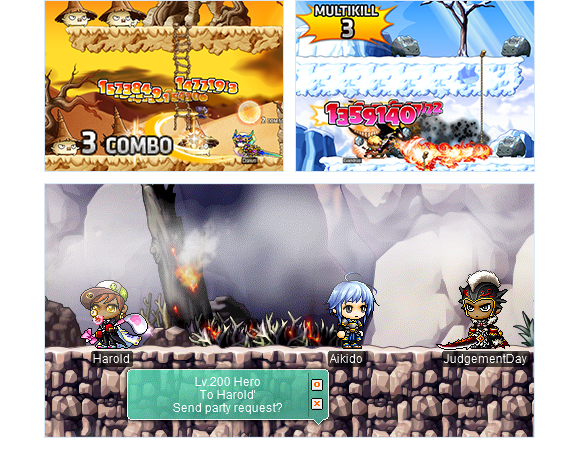 There are four types of runes: Runes of Swiftness (extra Speed and Attack Speed), Runes of Recovery (increased HP Recovery Speed), Runes of Destruction (increased damage, regular monsters’ HP decreases continuously for 15 sec), and Runes of Decay (when activated, the monsters in the field will die immediately and your damage will increase). In addition, all runes grant you 100% bonus EXP. Now you can enhance your equipment’s ability using Spell Traces (Lv.20 and above)! Spell Traces are whispers of previously cast spells, and can be collected by hunting monsters. They are an alternative to scrolls that use upgrade counts. The equipment’s type, level, and enhancement success rate will determine how many Spell Traces you need. The higher the equipment level and the lower the success rate, the more Spell Traces will be used, and the greater the stat boost will be. Failed enhancements that used Spell Traces will not destroy the equipment, but will take away an upgrade count. Many job skills are being adjusted based on the increase to regular monsters’ HP and EXP. In addition, Dual Blade, Cannoneer, Dawn Warrior, Wind Archer, Thunder Breaker, Aran, Evan, Luminous, Mercedes, Phantom, Demon Slayer, Demon Avenger, Xenon, Mechanic, Kaiser, and Angelic Buster are all receiving rebalances for several of their skills. You can now perform multi-kills and combo kills! Get extra bonus EXP by performing more multi-kills and combo kills. You can get bonus EXP in field maps when you create a party (max 6 members). There’s also a new Party Matching System, which allows you to easily team up with characters hunting in the same map. Accept the invite message to hunt together and receive party bonus EXP! ← 9th Anniversary Events – Check ’em Out!